The memory that we live with . . . is the moth-eaten version of our own past that each of us carries around, depends on. It is our ID; this is how we know who we are and where we have been. Memory and history have been Penelope Lively's terrain in fiction over a career that has spanned five decades. But she has only rarely given readers a glimpse into her influences and formative years. 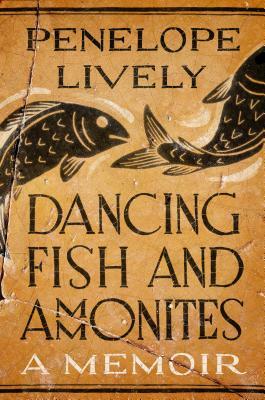 Dancing Fish and Ammonites traces the arc of Lively's life, stretching from her early childhood in Cairo to boarding school in England to the sweeping social changes of Britain's twentieth century. She reflects on her early love of archeology, the fragments of the ancients that have accompanied her journey including a sherd of Egyptian ceramic depicting dancing fish and ammonites found years ago on a Dorset beach. She also writes insightfully about aging and what life looks like from where she now stands. PENELOPE LIVELY is the critically acclaimed author of many books for both adults and children, including the Man Booker Prize winning novel Moon Tiger. In recognition of her contributions to literature, she was appointed Dame Commander of the Order of the British Empire in 2012. She lives in London."